Well, not actually the Domesday Book but a copy of it, along with an index and translation. It is one of only 450. They have been kindly donated to the library on long term loan by Dr Ben Codling. The Domesday Book was completed in 1086 by order of King William the Conqueror. 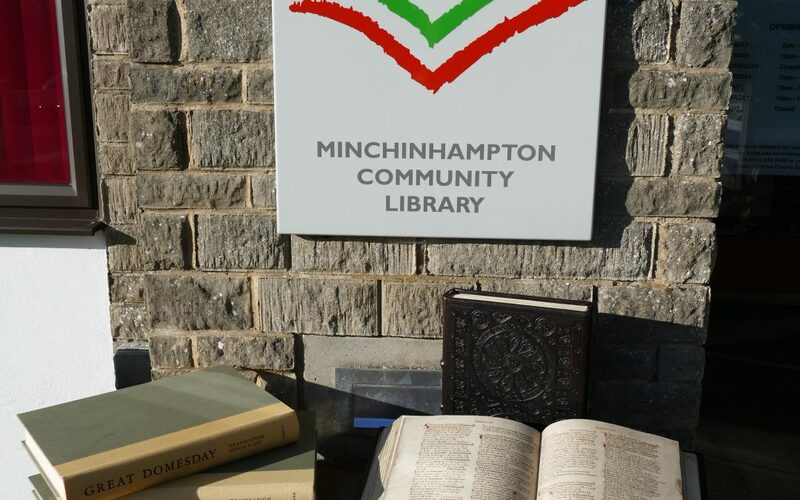 The entry for Minchinhampton includes information on “hides”, “villans”, barders” and “slaves”. The glossary explains what these words mean. The whole is substantial, so anyone wanting to see it needs a bit of space. Therefore the books are available for inspection by appointment. To make an appointment please telephone the library on 01453 885497.